We’re legitimately concerned about crime, and grateful for those who protect and serve in our criminal justice system, imperfect though it may be. 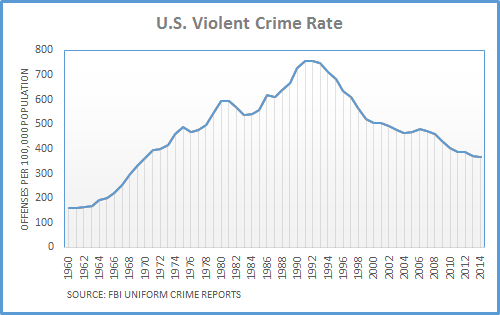 But, we’ve come to believe that violent crime in the U.S. is at an all-time high due largely to the “if it bleeds it leads” economic imperative of most commercial news media. Black Lives Matter, in particular, is seen by many to be undermining the rule of law by stoking racial animosity. At Civics Nation, we believe that all citizens should have the expectation that law enforcement will treat citizens fairly regardless of race, religion, or any other factor.